The garden setting of Epcot's Japan Pavilion is a spectacular showpiece of the park no matter what time of year you visit. 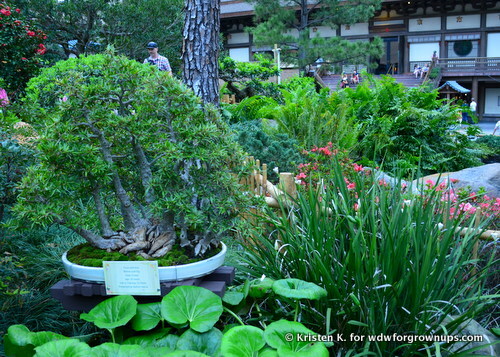 However during the Epcot International Flower and Garden Festival the horticulturists reach out to expert Bonsai artists to bring their most spectacular trees for display in the pavilion. Bonsai, means "tray planting" and is the term used for the art of growing small trees in containers. The tradition in Japan dates back more than a thousand years, where the close relationship between Zen Buddhism and the potted trees began to shape the esthetics. All bonsai begin with a cutting specimen of a plant that the grower wishes to train into bonsai form. 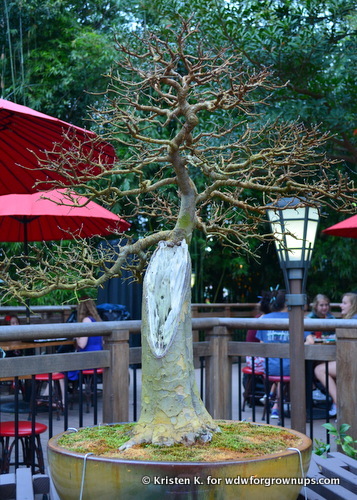 Many different species of trees can be used to create Bonsai, and there are a wide variety of examples on display at the Epcot International Flower and Garden Festival. 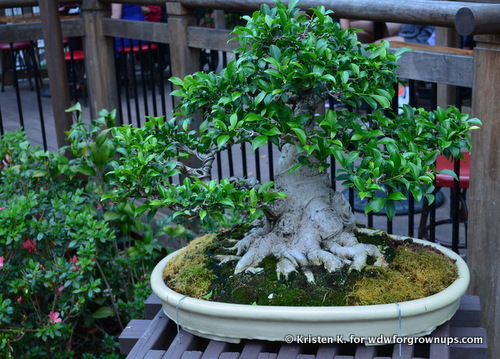 A common misconception about Bonsai trees is that they are genetically 'dwarfed' plants. That's just not so! Bonsai trees are regular plants that have been propagated like any other, but trained by a Bonsai artist using specialized techniques to keep them in miniature size. While these tiny trees may be small, some of then are upwards of 75 years old, with decades spent in training. 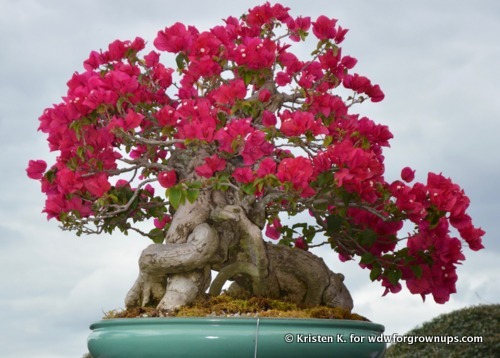 Bonsai clubs are very popular in America, and The Bonsai Societies of Florida, was the first statewide bonsai organization in the United States. 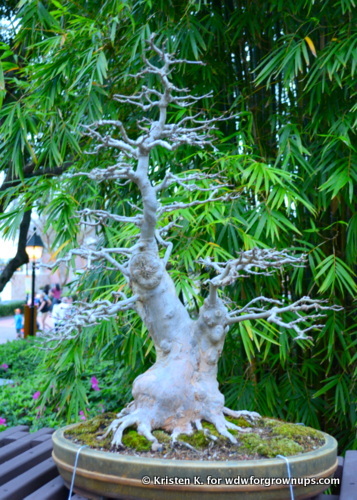 For 23 years the Bonsai Societies of Florida have invited Florida's 600 member bonsai artists to apply to be included in the annual display at Epcot. 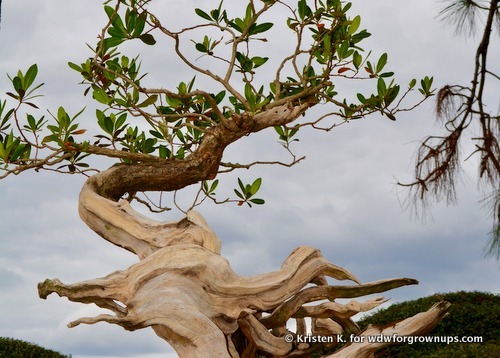 Do you love the art of Bonsai? If so, be sure to make a stop in at the Japan Pavilion during the Epcot International Flower and Garden Festival, going on now through May 29th!